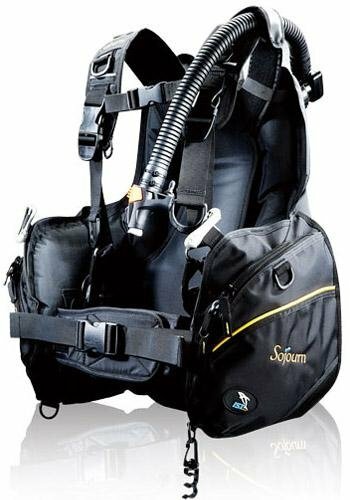 IST Sojourn Weight Intergrated Travel BCD Under 6 Pounds (Clearance) Sojourn is a significantly lighter and compact BCD which the travellers will appreciate. 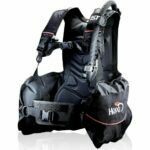 It will not take up bulk of the precious space in the baggage and the weight reduction meant more essential personal belongings can be brought on a dive trip. 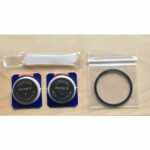 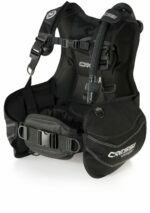 The XS size is only 2.5kg, while S size is 2.55kg, M size is 2.6kg and L-XL size is 2.65kg in weight. 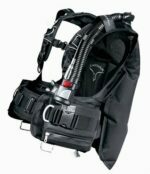 The Personal Harness System (PHS) can be easily adjusted to suit different diving conditions (i.e. the thickness of exposure suit needed) so a secure and personal fitting can be attained.